The LEAPWORK Automation Platform is an all-in-one productivity tool for automating repetitive processes, from product testing to business verification. 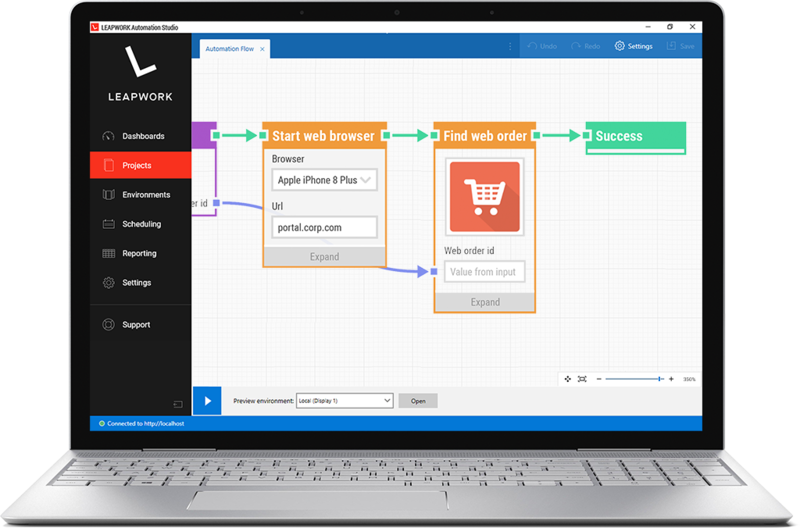 Users can build and execute process automation cases from day one with the flowchart-based designer. 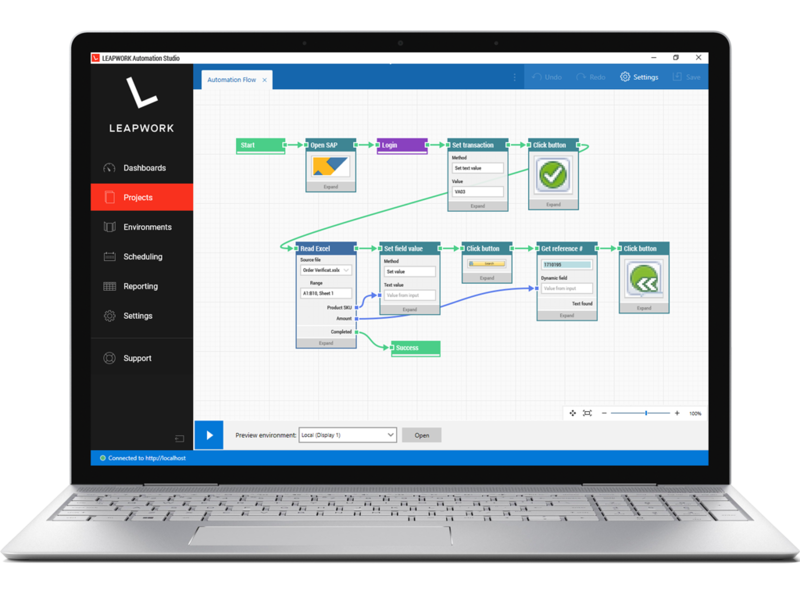 The LEAPWORK Automation Platform lets both technical specialists and non-developers design process automation flows, without ever typing or reading a single line of code – and then execute cases with the click of a button. 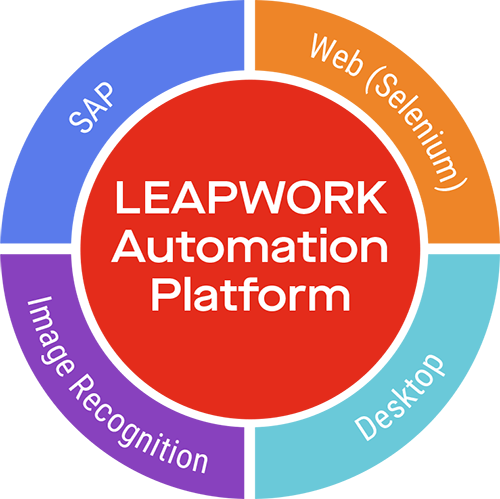 With the LEAPWORK Automation Platform, business specialists can rid their work of tedious tasks and collaborate on process automation regardless of the technologies in use. The LEAPWORK Automation Platform enables do-it-yourself automation without the need for programming. Automation cases are built as flowcharts on a design canvas by putting together powerful building blocks. The blocks include all the logic needed for process automation. Design, execute, schedule, and monitor process automation in one place. Work on cases in teams, share project assets, and set up feedback loops across departments. The LEAPWORK Automation Platform is a tool for specialists, generalists, and management alike.